WHATEVER YOU DO, DO IT WITH FOCUS! Inspiring a Healthier Mind - Working Smarter! It has been a record-tying flu season -- when will it end? NATURAL ROUTES FOR HEALTH AND ANTI-AGING! NATURAL GOODNESS FOR HEALTH AND LONGEVITY ! Are you dreaming about a beach body? 3 Tips You Need To Know! Building Wellness for Better Living! All Natural Solutions for a Slender You! Spilling the Beans: How Much Caffeine is Too Much? You love your pet's - help them live Healthy! Does Your skin have a holiday hangover? Side Effects of Fast Foods: Are Your Tendons Suffering? Success should not come with the price tag of our health upon it, and so we need to be more mindful of how we go about being successful, maintaining our momentum, and dealing with the demands of life. Essentially, we should be seeking out ways to work smarter- and not always harder! We have become accustomed to making our lives inherently hard and chaotic. The focus always seems to be on keeping busy in order to get things done and feel like we are achieving something, almost as if keeping busy validates our lives in some way. Sometimes it can get too much, the overload of work and family and leisure commitments can cloud our thinking and our ability to be strong and maintain clarity in the present time- and this impacts our health greatly. Stress and anxiety, and mental health problems continue to increase in our modern day world; when we are constantly stressed, our “fight” or “flight” stress response is over-stimulated and this leads to imbalance and over time, ill health. Of course, some work/life pressure is to be expected, but when it begins to overwhelm your mind and body- stress occurs. Here are some signs/symptoms of stress that you can watch for, not just for yourself but those you love and care for. Stress affects us from all angles- mentally, emotionally and physically. Feeling more anxious and afraid with thoughts racing/feeling unable to switch off. Feeling more irritable, angry or impatient. These are just a few points on a long list of how stress impacts your health. The best ways of dealing with stress are a combination of a number of things, for instance- better nutrition, exercise, making time for rest and relaxation, time out in nature and green spaces, and spending quality time doing something you love and enjoy. You can develop resiliency and ways to manage stress by being mindful, focusing on health and harmony, developing or expanding your hobbies and interests, and of course, seeking the right support to help ease stress and mental fog. BrainJuice are a team of inspired health enthusiasts and professionals that believe in harnessing the power from food to achieve optimal brain health and function. Their goal is to naturally unlock the power and resiliency of the human mind, and so they have created a healthy, nutrient-rich blend to help you work smarter, and not harder. The science behind BrainJuice is complex, yet it is rooted in a simple idea. Giving the brain a little TLC is critical to our overall health and longevity and BrainJuice is like the nutritional elevator for your brain. It can be overwhelming to think about how the brain works, but it is detrimental to your health, happiness, productivity, and longevity to keep ignoring it. Despite its complexity, the brain is one of the few organs you can enhance and strengthen immediately. When you feed your brain, you transform your life. BrainJuice is filled with a precise combination of all-natural ingredients, which have been scientifically studied and proven to help with focus, clarity, memory, and mood. While energy drinks and coffee give you an energy jolt to your entire body, BrainJuice provides the perfect blend of key ingredients to give your BRAIN the immediate nutrient boost it needs, and without the jitters or other unhealthy side effects that may be experienced after an overload of caffeine. BrainJuice products are non-GMO, Gluten Free, Backed by Science, and contain no colorants and synthetic filters, they naturally boost Dopamine production for enhancing your mood throughout the day, and of course- taste super! BrainJuice Active is a great boost Pre-Workout! BrainJuice believes in working smarter, not harder. Compared to most pre-workout products on the market, which promise to give you “explosive energy,” BrainJuice Active is a much more accessible option for helping enhance the mind-body connection during a workout. Whether you’re getting ready for yoga, a run, or your favorite Cross-fit workout, BrainJuice Active can help you stay focused and energized for a much more rewarding exercise experience. BrainJuice comes in 2.5 oz shots in original and caffeine free options as well as a daily powder mix. BrainJuice contains the highest-quality, and all-natural vitamins B5, B6, B12 (methylcobalamin), and C, all in a green tea base for added antioxidants. The Brainpower Blend includes beetroot, red spinach extract, Himalayan pink salt, Rhodiola, Alpha-GPC, ginger, and turmeric. 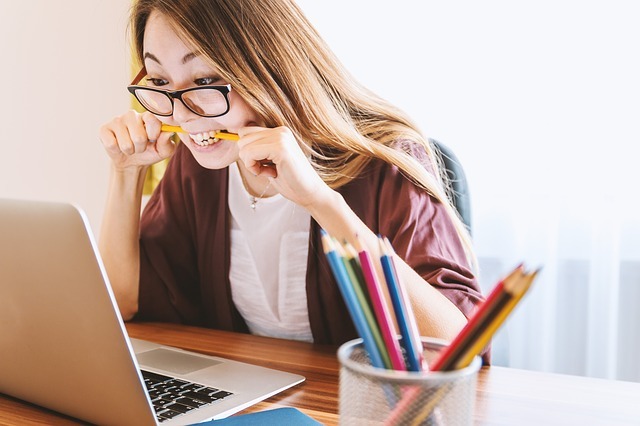 BrainJuice offers a caffeine free version - it is the same formula but without the caffeine which makes it perfect for late night study or work sessions. The BrainJuice Active formula contains a blend of organic super-foods such as organic Açaí, organic blueberry, and Acerola cherry! 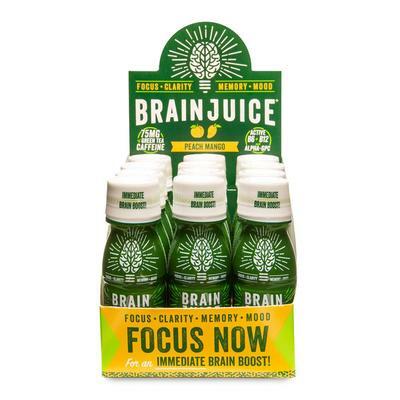 Try Brain Juice shots in a variety of flavors: this formula is designed for you to drink in one sitting and with a fast absorption you can feel the benefits of a heightened mood, motivation, clarity and focus very quickly! Creating more Clarity and Focus with BrainJuice! BrainJuice welcomes its customers from all walks of life and with different needs and goals. 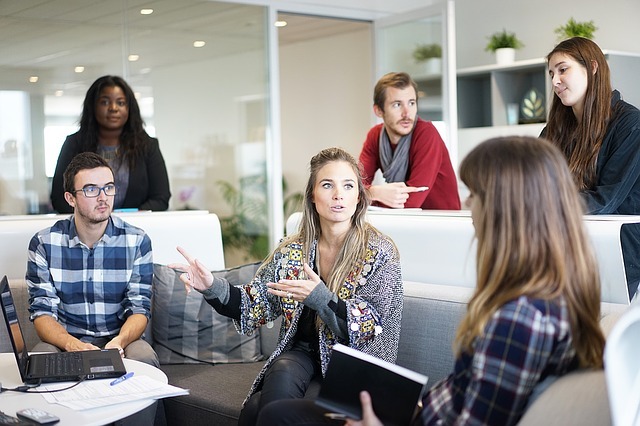 They include college students with heavy workloads and exams; busy professionals juggling big projects; parents keeping up with work/life balance demands; and anyone who desires more focus, clarity, and presence in their lives in order to be their best selves. Rhodiola and Alpha-GPC for enhanced energy, endurance, and strength! 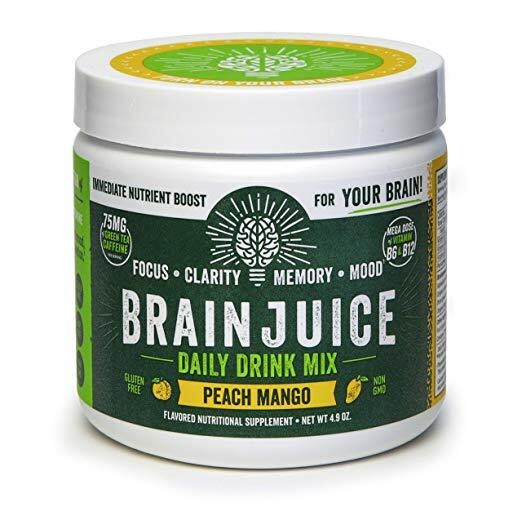 How to use: Add a scoop of BrainJuice Power Blend in Peach and Mango to 8 oz. of water, tea, a smoothie or your favorite beverage for the instant kick you need to take control of your day. This invigorating peach-mango flavor is the perfect balance of natural sweetness and juicy ripeness you would expect from biting into these luscious fruits. “BrainJuice is available at 4000+ stores across the country, as well as on Amazon.com. Products can also be purchased from our own e-commerce site at BrainJuice.me. For people who drink BrainJuice frequently, we’ve created powder daily drink mixes, which are available on our site. Our powders can be mixed into coffee, tea, smoothies, or any of your favorite drinks to provide an immediate nutrient boost for your brain. WHATEVER YOU DO, DO IT WITH FOCUS!” said BrainJuice. * The information available on ewellnessmag.com, including text, graphics, and other materials are for informational purposes only. Reliance on any information in ewellnessmag.com is at the user's own risk. Sponsored product placement may appear in the article. The visitor of this website acknowledges that the information available on or through ewellnessmag.com is not and is not intended to be a substitute for professional medical advice. Copyright © 2019 Brawo Press, Inc. All rights reserved. Copyright © 2019 Brawo Press, Inc. All rights reserved. Designed by Brawo press Inc. The information available on ewellnessmag.com, including text, graphics, and other materials are for informational purposes only. Reliance on any information in ewellnessmag.com is at the users own risk. The visitor of this web site acknowledges that the information available on or through the ewellnessmag.com is not and is not intended to be a substitute for professional medical advice.